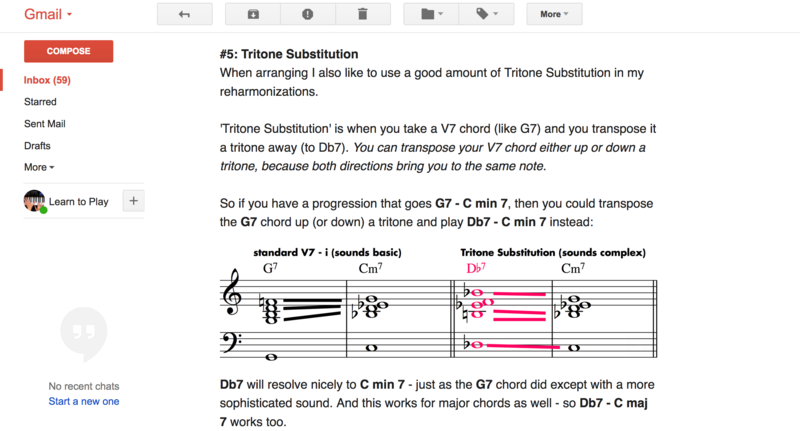 Get Jazz Piano Email Tips sent to your inbox each week! Send Me Jazz Piano Email Tips! I’ll also notify you when I post new videos, and I’ll send you free Jazz Piano sheet music and backing tracks too.